Does that slogan sound familiar to people in the United States? Is it possible that our American president somehow borrowed the first half of Rev. Divine Hart's slogan but forgot about the second half? I bring this up because we in North America are looking for ways to solve our own political problems. As I wrote in 2016, we can learn from the Nigerians. In 2017 I was asked to help publicize and promote his book to a worldwide audience. Sadly, it was a project that kept getting pushed out because of more pressing projects. Earlier this year (2018), Rev. Divine Hart Ihegwu made is transition and I regret not having done more to bring this insightful book and beautiful man to the attention of more people in Unity. Rev. 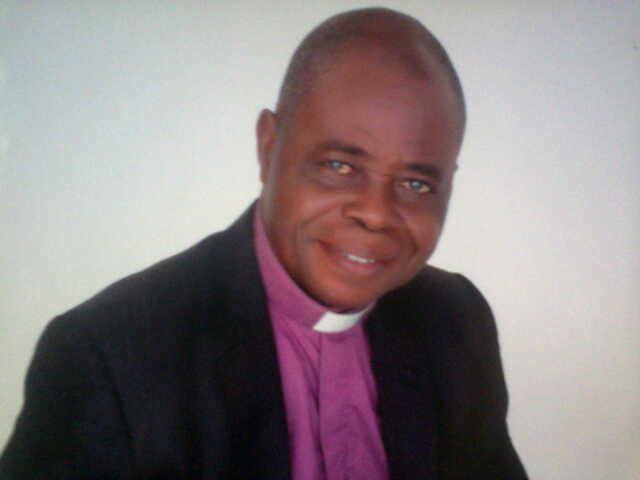 Divine Hart Ihegwu was well known among Unity people for his many inspirational posts on Facebook. We will miss him. THE PROPOSAL: This proposal is for a holistic campaign to institutionalize positive thinking in Nigeria so that Nigeria will start experiencing rapid growth. It sets forth a process to mobilize all Nigerians to work with a unity of purpose towards building a prosperous nation respected for the right reasons, and whose citizens can hold their heads high anywhere in the world. To effectively change conditions, we must first change ourselves. “Unless we become the change we wish to see in the world, no change can take place” said Mahatma Gandhi. Do not wait for the other man to change first. The change must start with you and me. The implementation of the contents of this proposal, we strongly believe, will be a timely move towards realizing the desired positive change in Nigeria. AIM OF PROPOSAL: This Proposal presents a clear, unique, holistic and bold vision for positive change in Nigeria. It articulates the best ways to effectively transfer this vision to the hearts and minds of Nigerians, using every available means. With our thoughts we create our world”. 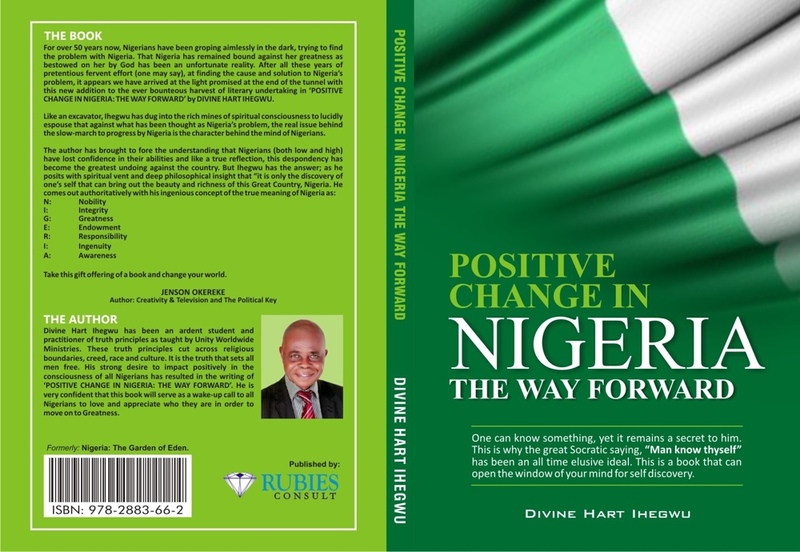 “Positive change” in Nigeria has to be built on a firm foundation of positive mind renewal by all Nigerians. This requires a robust campaign aimed at institutionalizing a positive approach to life in Nigeria. For Nigeria to be different, Nigerians must be different. Campaign Slogan:	“To Make Nigeria Great Again, change must begin with me. Vision: A Nigeria that is great, safe, secured, prosperous and respected among the committee of Nations – A great Nigeria. Mission:	Mobilizing each and every Nigerian to embrace positive change, beginning with themselves, to make Nigeria great again.